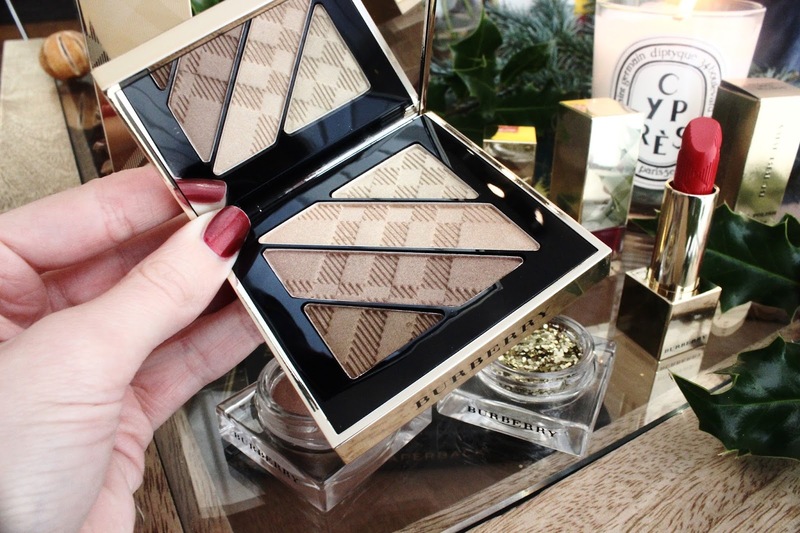 There are a very few brands where I look forward to their Christmas releases all year round, and Burberry is absolutely one of them. 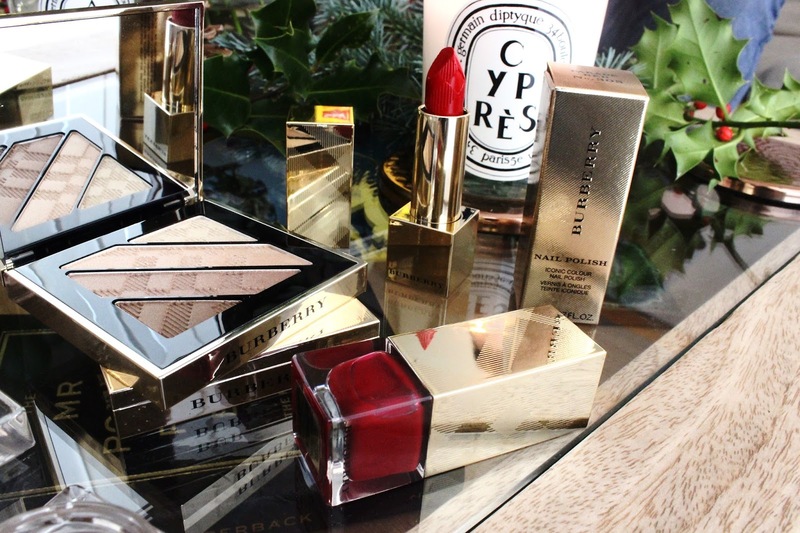 Each year they vamp up their packaging to a luxe yellow gold shade and release the most beautiful limited edition products. 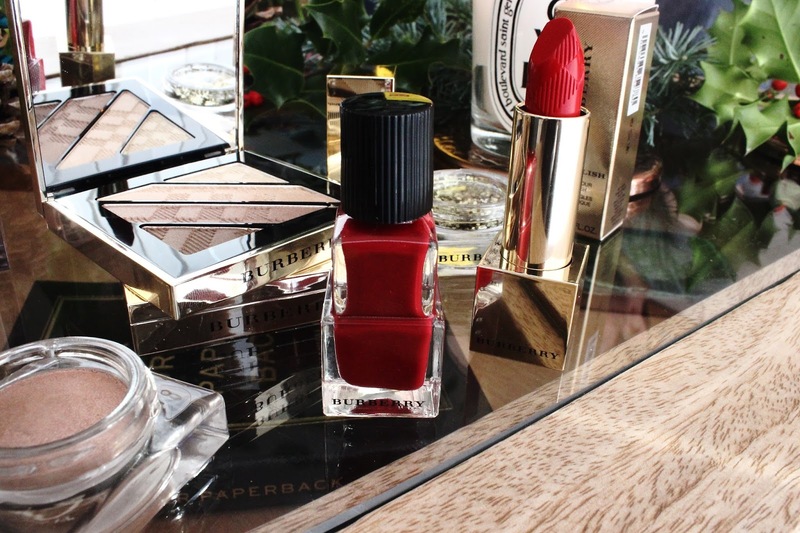 The range consists of a limited edition eyeshadow quad, letter box red lipstick, lip glosses, single pot eyeshadows, nail polishes, and both liquid and powder highlighters. 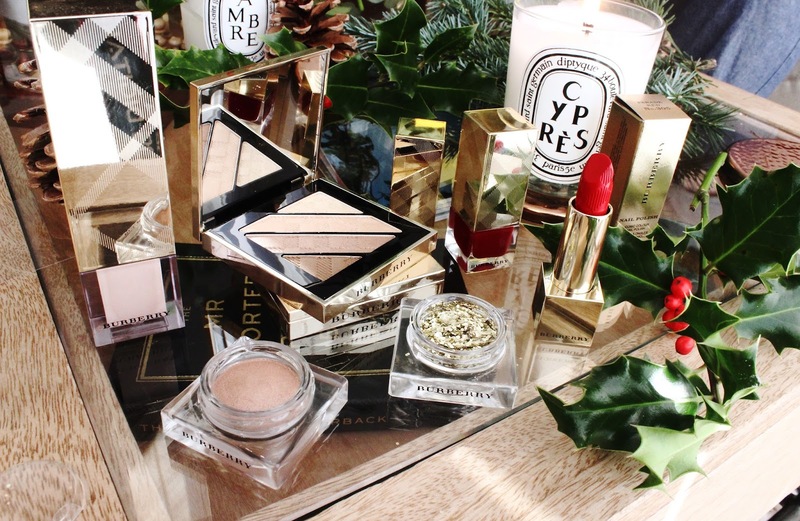 The stand out product for for this year is the Eyeshadow Palette in the shade Gold Shimmer. 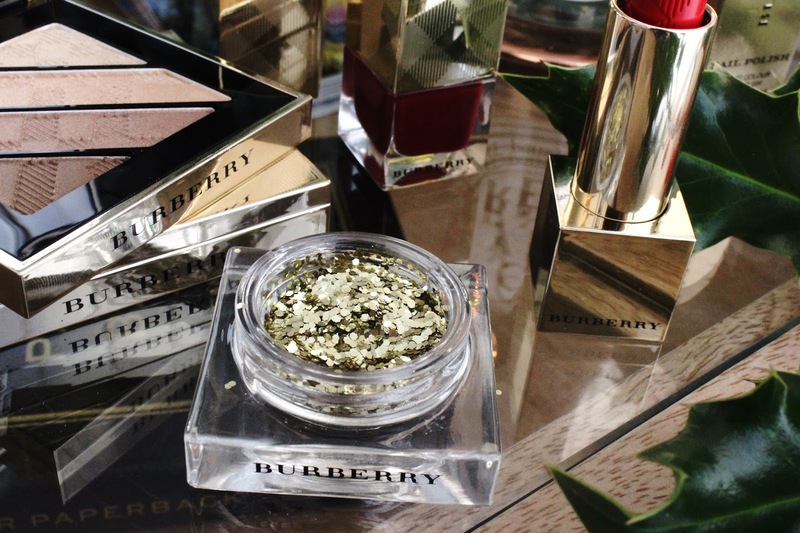 As the name suggests it's a mixture of bronze and gold shades, with 3 eyeshadows and 1 liner. 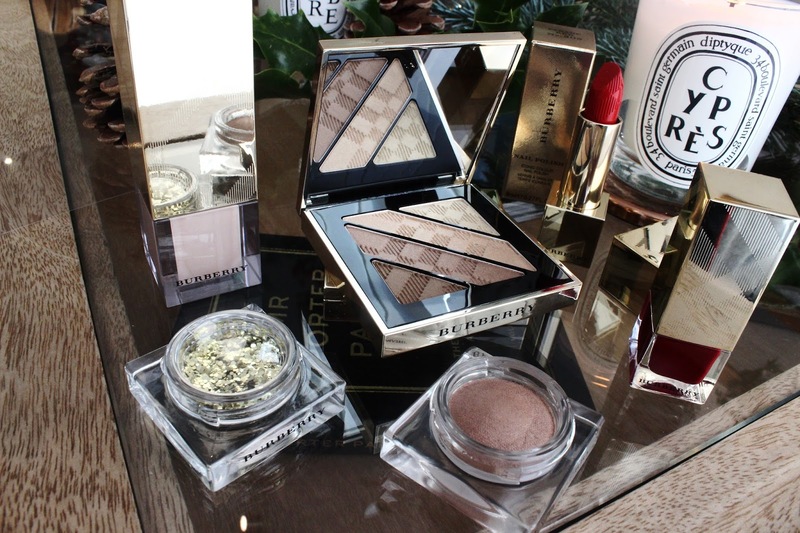 The packing is also absolutely stunning with the classic Burberry criss cross design etched into the beautiful gold packaging. A new product from the collection this year is the single pot of gold chunky glitter, which absolutely screams Christmas and festivities. Then the last product for the eyes in the velvet soft, Eye Colour Cream single pot eyeshadow in the shade Gold Shimmer, which adds a beautiful wash of gold to the lids. 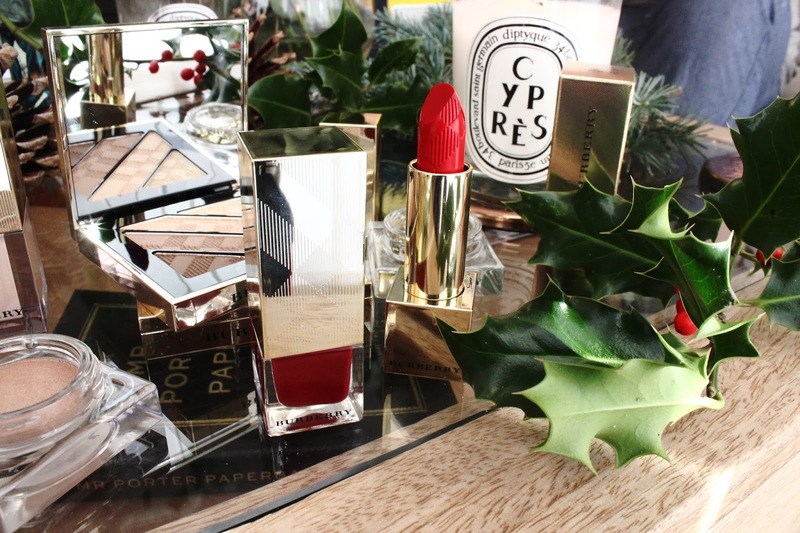 Moving onto lips, Burberry have once again brought out their oh so stunning Parade Red, Burberry Kisses lipstick, which is such a pretty and flattering bright red. 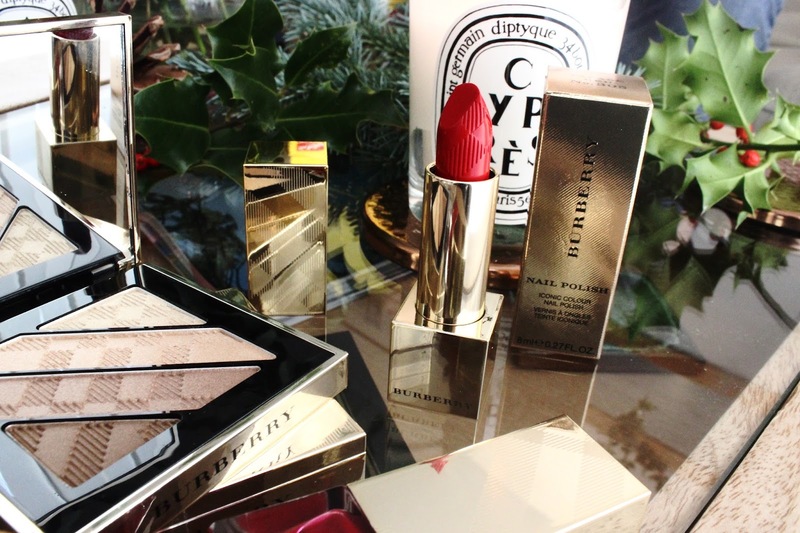 Also for the lips they have their Burberry Festive Kisses Lip Gloss also in the shade Parade Red. 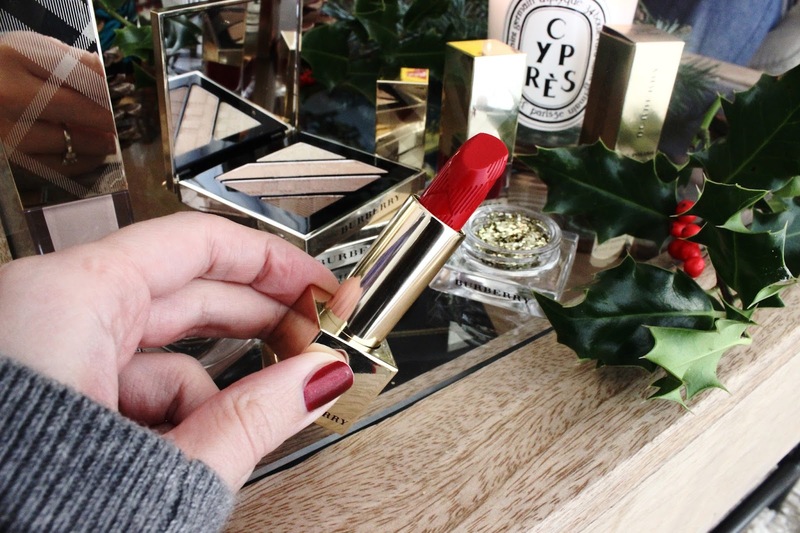 The lip gloss is actually infused with tea and rosehip to nourish dry lips, which is exactly what you need during the festive period when you're wanting to wear a bright lip. 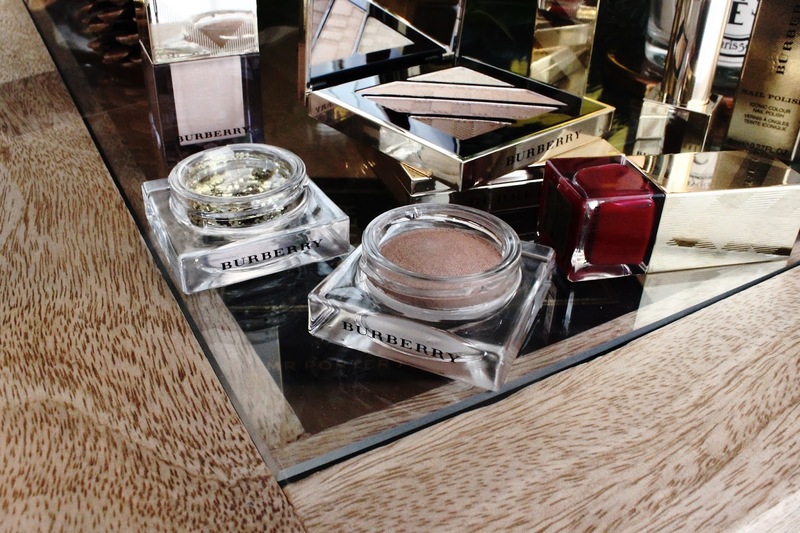 Something Burberry always do really well is face products. Probably one of my all time favourite products is the Fresh Glow Luminous Skin Base. It's kind of like a liquid highlighter but muted down so you can use it all over your face. I find that it just adds a layer of natural glow to the skin that I'm not able to achieve with any other product. 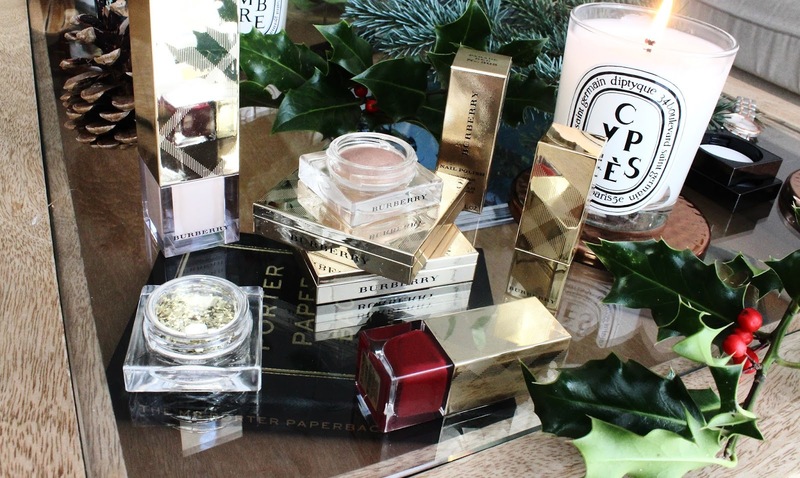 For Christmas, this product gets a make over in the classic gold packaging but is also available all year round, so don't worry if you miss out on the Christmas edition. Another glowing product is the Gold Glow Luminous Finish Powder, which again adds a really subtle glow, but in powder form. If you're quick there's still quite a lot of the products from this range available, which would arrive in perfect timing for New Years Eve! 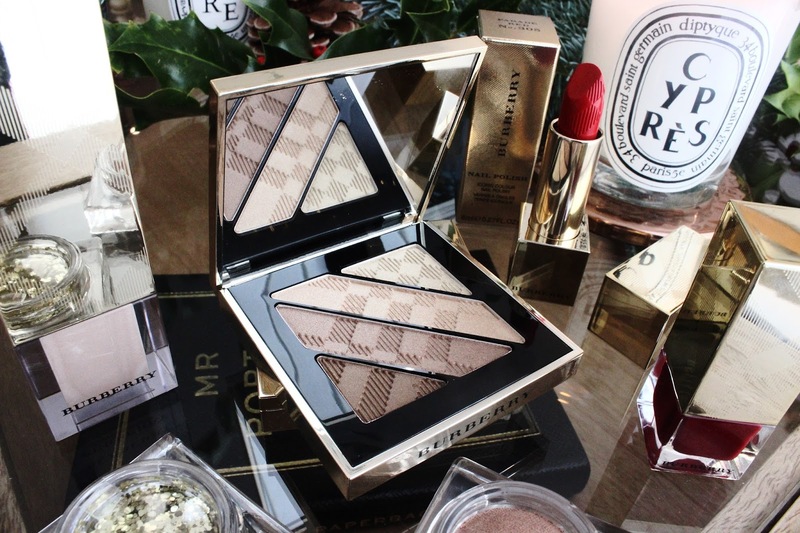 These products look great, although I wouldn’t really buy makeup as a guy. I will suggest them to some friends who’d love to try them.